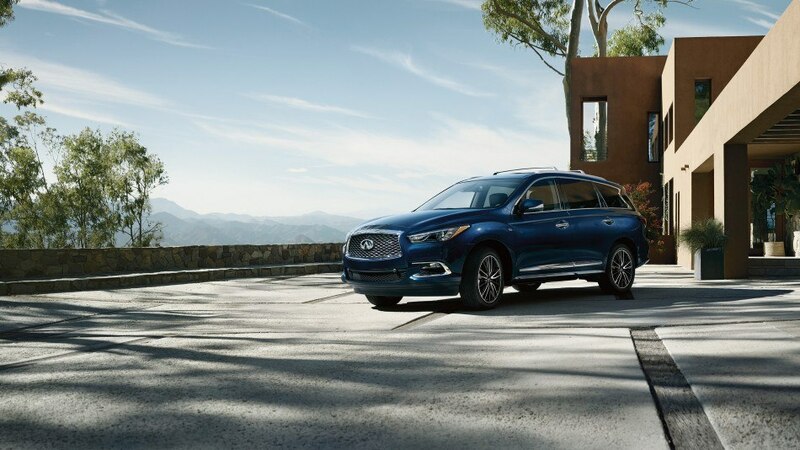 If you’re looking for the latest Infiniti sedans, coupes, and SUVs, then Oakville Infiniti is the place to be. 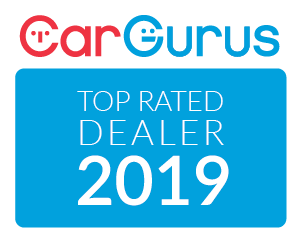 Our full-service dealership serves discerning customers from across Niagara Falls, St. Catherines, Hamilton, Mississauga, and (of course) Oakville. 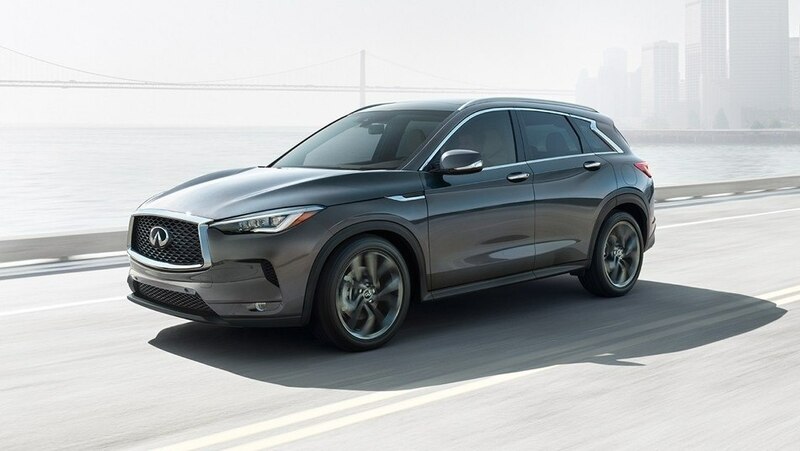 So browse our New Infiniti Inventory to find the latest and greatest vehicles from this premium Japanese manufacturer. 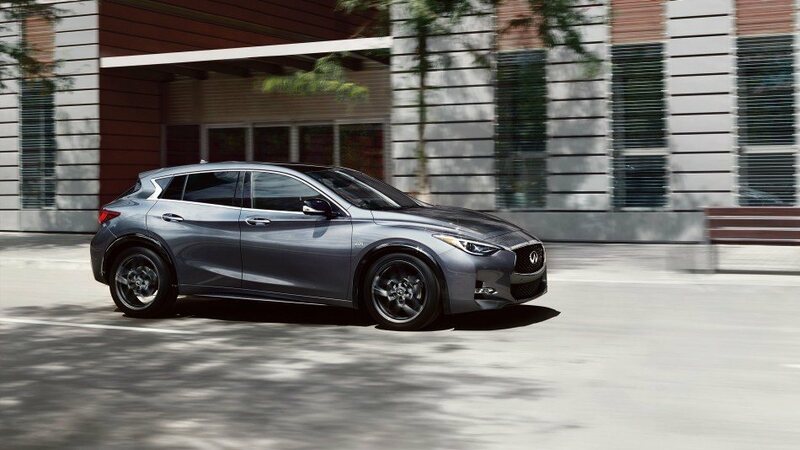 The Q50 Signature exemplifies the perfect balance of sport and luxury. Matching the inspired INFINITI Q50 design and performance is an interior created to the same extraordinary standards. Performance and elegance unite in the Q50 3.0t Signature Edition. Reach new heights with 300 horsepower, 19” sport wheels, an enhanced sport front bumper, and finishing it off with exquisite leather sport seats. 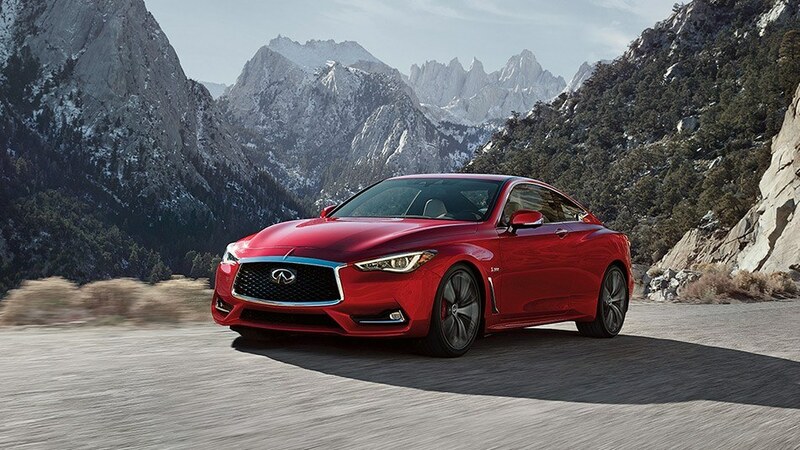 Intelligent All Wheel Drive sends Q60’s considerable power to all four wheels when you need it, and as conditions begin to clear, up to 100% of the power is sent to the rear for heart-racing performance. It all begins with the available twin-turbo V6 that can put up to 400 horsepower on the road. Extend your awareness when you select the Driver Assistance Package. Another world’s first safety technology, Backup Collision Intervention, alerts you to crossing traffic and large stationary objects detected when backing up. The system can even brake before you do to help avoid a collision. On the road, you have the ability to sense beyond what you can see with our world’s first Blind Spot Warning that uses radar sensors to help detect cars in your blind spot when changing lanes. Share luxury with all who ride. The QX80 makes first-class travel part of every journey. With breathtaking performance, advanced technology, and luxurious details from front to back, every seat is one of power. 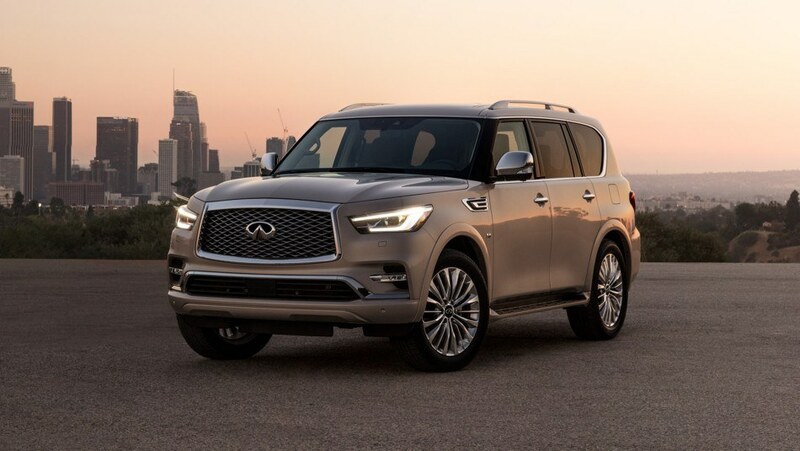 Bold lines make the QX80’s exterior something to behold. Recline into an expansive interior with seating for up to eight. Wrapped in quilted leather with exquisite diamond stitching, it is specially crafted to awaken your senses.